Next in our series of alternatives to classic fonts comes Garamond. Garamond is available from nearly every bigger font vendor as you font geeks know. 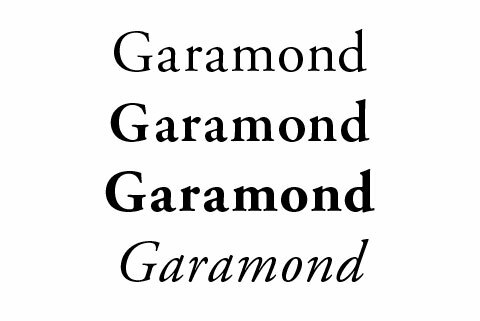 There is no "the Garamond" and even at the time Claude Garamond lived, the font name Garamond indicated a style of type. But if you like to choose a Garamond I will recommend you the edition of Adobe, designed by Robert Slimbach. And now lets see the candidates. As usual this collection lists only commercial fonts. All fonts are available in various weights and with rich charsets. This will guarantee that your daily work is focused on designing and not fixing font problems. If you should know other (perhaps free) alternatives to the typeface Garamond feel free to let me know by writing a comment. Where is all the money gone? Is your target group online?